VPNs secure Windows devices with encryption such as PPTP, L2TP/IPSec, OpenVPN, SSTP and IKEv2. Protection from known Windows vulnerabilities and malware. Allow you to access geographically-restricted media and content. Microsoft Windows is the most widely used operating system for home computers. 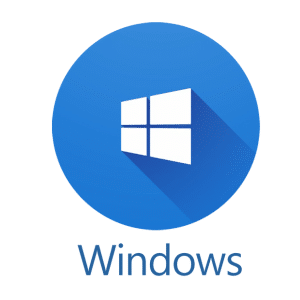 Whether you have Windows 7, 8, or 10 installed, you probably understand the need for security when you connect to the internet. Windows also runs on many smartphones. If you access the web a lot from yours, you will need to consider security measures for that, too. If you also use a tablet for internet access, then you probably switch between devices a lot, and so understand how important it is to get the same software running across all of your gadgets. The virtual private networks (VPNs) examined in this review will work across all of your devices. That means you don’t have to keep adapting to different security software. VPNs help you work around local restrictions to internet access. They also unlock those pesky location locks on a lot of web content. If you plan on accessing websites from all over the world, you should take the same global viewpoint when choosing a VPN. You want your VPN service to protect you wherever you travel in the world, so global accessibility is important. The concept of “value” has to be calculated alongside considerations of a minimum level of service. You aren’t saving money if you select a cheap service that can easily be detected and blocked. With many services, you are given false security, which means you are not only throwing your money away, but taking more risks, believing you have greater anonymity than the VPN actually provides. You probably don’t have enough time to investigate all of the hundreds of VPN services out there. That’s why we’ve done the legwork for you and selected just five services that work really well with Windows. ExpressVPN has a slim and compact app that doesn’t take up much space on your Desktop when it is open. You don’t need to be a networking expert to install this all and you won’t have any trouble using it even if computers make you nervous. You just have to select a server location and then turn the VPN on. Over on the Settings page, you get a lot more options. You can switch the VPN protocol system to be used by the app with options including OpenVPN over TCP, OpenVPN over UDP, SSTP, L2TP, and PPTP. If these terms mean nothing to you, it would be best to just stick with OpenVPN over UDP. The network of ExpressVPN includes servers in 94 countries. If you just want to limit your VPN coverage to the traffic that is generated by your browser, you can install a browser extension for Chrome and Firefox. The website has really clear instructions on how to use the VPN, but if anything is unclear, you can get access to support through a live chat window on the ExpressVPN website around the clock. IPVanish is the fastest VPN in the world. So if you use a lot of interactive apps that need to transfer a lot of data very quickly, this is the VPN for you. Fortunately, the creators of IPVanish didn’t just put a lot of thought into their computers and cables, but they also designed a very attractive app for Windows that is easy to use. The app has some good security features, which include a network block. This will prevent your Windows laptop from connecting to open WiFi hotspots as you walk around town. You get access to sever locations in 60 countries, which will help you to get around the geo-restrictions on a lot of websites. You can connect up to five devices to the service simultaneously. NordVPN has a very appealing app that shows a map of the world. You will see markers in different countries, which show where the company has servers. You just click on a marker to get connected. An alternative method to choose a location is to flip over to the server list. You will see some interesting features in this list which include the option to route your connection through two VPN servers, getting double encryption. Another option is to connect to the Tor network through a VPN server. You get access to servers in 59 countries and the company gives you a generous allowance of six simultaneous connections. Look out for the two-year deal, which makes this VPN service a bargain. VyprVPN has a slim app for Windows, which features a connection speed monitor. The app’s list of servers includes locations in 64 countries. So, that should give you plenty of options if you want to get into geo-restricted sites around the world. This app is a good option for accessing video streaming services and it can get you into Netflix USA from anywhere in the world. You would be advised to avoid VyprVPN if you like to download with torrents because the system retains connection logs for 30 days. You can get hold of the Customer Support team through a live chat window on the website. However, this utility is not available around the clock. VPNArea has no problems with its customers using its system for identity protection when downloading with P2P networks. The company also doesn’t mind you sharing an account with a fried, which is rare in the industry. You get an allowance of six simultaneous connections, which makes sharing a lot easier. The app features a message panel, which will flash technical details at you as the connection proceeds. This can be a bit off-putting for people who aren’t that into technology, but it provides useful information should things go wrong. One interesting privacy feature in this app is an IP switcher. This will periodically change the Internet address that is allocated to you. It is important to realize the benefits that VPNs have over conventional security software. With a virtual private network, you are not specifically looking for protection from viruses or Trojans, and you probably know that “https” on the front of a website address means your connection is encrypted. Windows comes bundled with Windows Firewall and Windows Defender to guard against viruses and intrusion by hackers. Make sure you regularly install updates to all the software you have running on your device, because many of these updates address security loopholes. The Windows Firewall and Windows Defender programs do not give you anonymity from detection when you are surfing the web. In fact, there is no bundled software in Windows that can protect your identity, especially from repressive governments. Even though the contents of your communications over the internet can be encrypted, standard Windows software does nothing to hide the source and destination information that is held in the header of all messages sent out of your computer. Getting a VPN service is all about protecting yourself and getting access to blocked sites, rather than just keeping your computer virus-free. Companies, educational institutions, and even internet cafes now all run their own software that blocks access to an ever-growing list of sites. TV websites and even some commercial sites, such as airline ticketing websites, often decide they don’t want to let you in if you are not connecting from the right place. However, you don’t have to put up with restrictions imposed by governments and other organisations. VPNs work around these blocks and give you freedom to communicate with whoever you want and read whatever you want. Make sure the VPN you select works well. You should get a service that includes interface software that was specifically written for Windows. You also need to be sure that you are going to get prompt responses from customer support, because there is no point paying for a service if you have to go for days without being able to use it. There are some pretty scary governments out there, which have draconian punishments for people who access certain sites while in their countries. You could also find yourself liable to prosecution and company legal action if you happen to blunder in and do something that you didn’t realize wasn’t allowed. If they can’t spot you, they can’t sue you or throw you in jail, so protect yourself with a VPN and make sure it actually keeps you safe by working properly behind the scenes. All of the VPN services in our review will protect you when you access the internet from your Windows device. I am facing some problems while setting up VPN on my Windows 10 (I upgraded it to Win 10 from Windows 7). You haven’t wrote Windows 10 VPN setup in this article?